Newly erected 9 X 12 metre Camp Kitchen. 3 BBQS, Fridge and a full size oven. Absolutely fantastic for groups looking to be together and be able to cater and cook all at once. 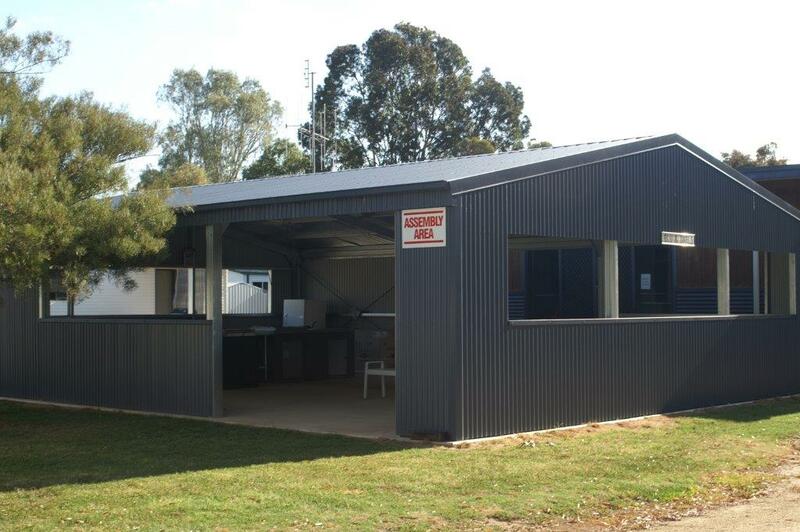 Located down in the quiet end of the park this camp kitchen is great for, Caravan groups, School groups, family reunions, Car clubs, and any other club/group looking to get away for the weekend or longer. Enquiries can be directed to the office on 58742313 for availability. Don't forget our 15% discount for 5 sites or more booked under the one group name.